On the occurrence of the worst mass shooting and act of domestic terror in U.S. history, this is the kind of diversity we don’t like to talk about. The perp is one of us. The alleged shooter is 29-year-old Omar Siddiqui Mateen, born in New York to Afghani immigrants. Mateen’s an American of South Asian descent, and by the selfies he posted online, he looks like a normal millennial. With his family, Mateen relocated to Florida where he worked as a private security guard. But early Sunday morning, Mateen was anything but normal. 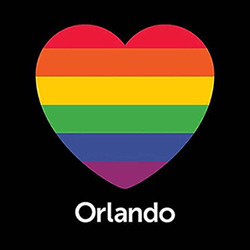 Reports say after he unloaded his AR-15 automatic rifle into a crowd at an Orlando gay bar, Mateen called 911 and pledged his support to ISIS. Despite being on the FBI’s radar for years for having contact with suspicious ISIS members, communicating with ISIS is no crime in a free country–not until you act on behalf of ISIS. This weekend, Mateen, apparently, chose his suicidal path. But it leaves us as an American society to deal with this scary reality. The terrorists are doing a better job at recruiting a handful of South Asian Americans to do nefarious deeds than mainstream institutions are doing in assuring us all that we are indeed part of one great America. Just look at the message of the great wall-builder Donald Trump. The GOP presidential candidate wants a ban on Muslims. And when he sees a federal judge with an Hispanic name, it’s just assumed he’s Mexican, a foreigner, disloyal, and definitely not an American, despite the judge being born in Indiana. Add to all that the increasing inequality in the U.S., a vanishing middle class, and a growing sense that there are more “have nots” than “haves.” Is it any wonder that images of the Orlando crime scene looked like it could have been a bombing anywhere in what we used to call condescendingly the “Third World”? That’s where we are in America these days when the “war” is here at home. So, yes we must mourn and offer our condolences to families of the victims of this horrendous crime. But we must also come to terms with what’s at stake in this tragedy–and how only by standing together do we have a chance to continue to be a great and free country. It was a basic theme in statements from leaders in the greater Asian American community. Honda quoted President Obama who gave a statement earlier in the day on what one media organization said was the 15th shooting he’s had to comment on during his two terms. But for Honda, the Orlando massacre hit even closer to home. His congressional district includes Fremont, the city with the largest Afghani community in the U.S.
At a Washington, DC news conference, the Council on American-Islamic Relations (CAIR) was even more direct about what to call Orlando. Awad called religious freedom a cornerstone of the community’s beliefs as Muslims and Americans. He said unity was the answer to the violence in Orlando. And then he had a specific message to ISIS and its supporters. Awad finished with one more message to public figures like the Donald Trumps of the world. Here’s an amen to all that, with one addendum. The best way to deal with hate is to fill the world with love.